The vehicle serves to maintain all of the bus stops in the area of the Barnimer Bus Company Ltd., and not only for trolleybus stops. 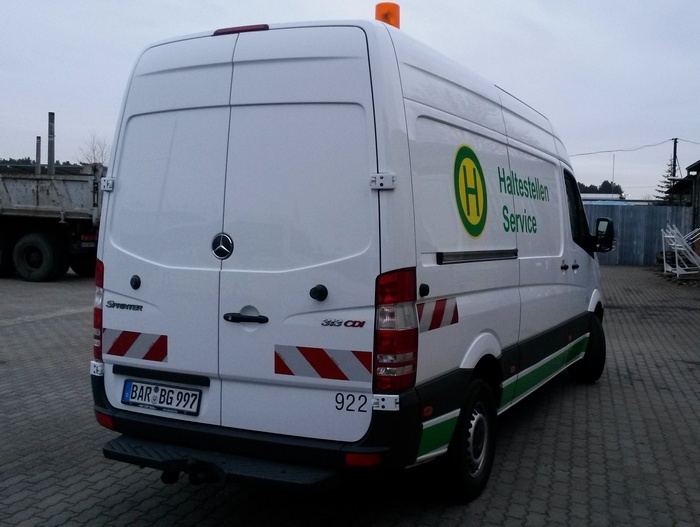 The service car for bus stops of the German type Mercedes Benz Sprinter CDI 313 is a closed van. This is a 2 axle, rear-wheel drive vehicle. The vehicle has three seats. On both sides of the van is written the same text: Haltestellen Service (Service for bus stops). It is equipped with 2 yellow warning lights and many different work tools. The service car for bus stops have the registration number BAR-BG 997. 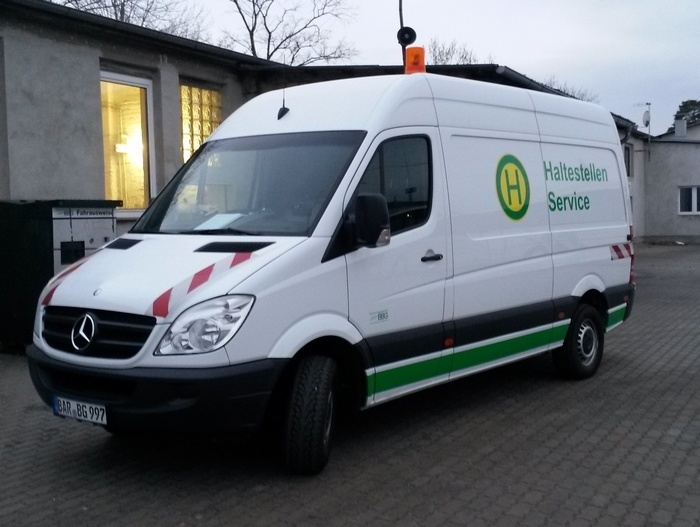 The photos show the service car for bus stops at the depot Eberswalde/Nordend.